George Harinck (1958 - ) is the Director of the Archives and Documentation Centre, Kampen and Professor of history at the VU-University, Amsterdam. He studied history at Leiden in 1993 and obtained his doctorate from the Free University in Amsterdam. From 2003 he was the professor of history at the ADC chair at the Theological University in Kampen. 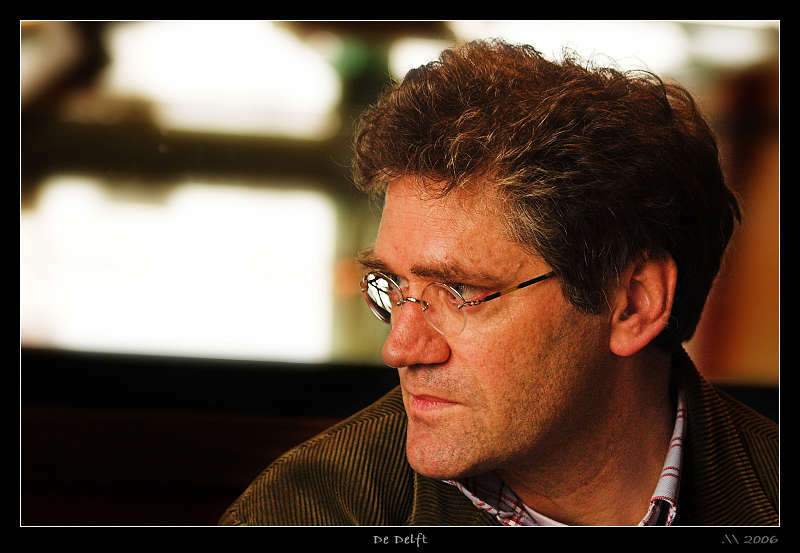 He is also director of the Historical Documentation Center for Dutch Protestantism (1800-present) at the VU. In 2001, he was a visiting scholar at Princeton Theological Seminary, USA. Poetry of Theologian Geerhardus Vos, in: Robert P. Swierenga, Jacob E. Nyenhuis, Nella Kennedy (eds. ), Dutch-American Arts and Letters in Historical Perspective (Holland, Michigan 2008) 69-80. Amsterdam-New York: Transatlantic Relations and Urban Identities since 1653, George Harinck & Hans Krabbendam (eds. ), Amsterdam 2005, 196 pages. Dinner speech at Second Kuyper Consultation on 'Theology and Economic Life: Exploring Hidden Links'. Princeton Theological Seminary. Breaches and Bridges. Reformed Subcultures in the Netherlands, Germany and the United States, George Harinck & Hans Krabbendan (eds. ), Amsterdam, 166 pages. ''Give us an American Abraham Kuyper'. Dutch Calvinist Reformed Responses to the Founding of Westminster Theological Seminary in Philadelphia', Calvin Theological Journal, 23 (2) 299-319.